The newest design “Diamond” on the Essklasse plates shows the full size of decoration on oversized border plates. 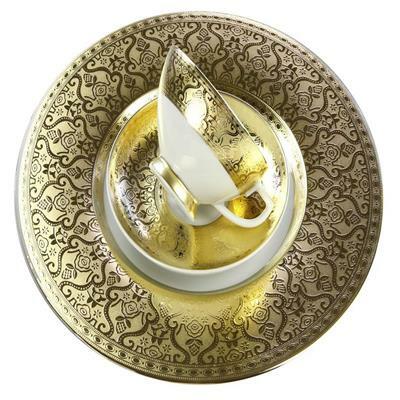 Due to the large seze of the borders of the plates, the design Diamond full gold with its shiny and matt gold is a eyecatcher on each high end decorated table. The high raised gold is typical for Falkenporzellan products.